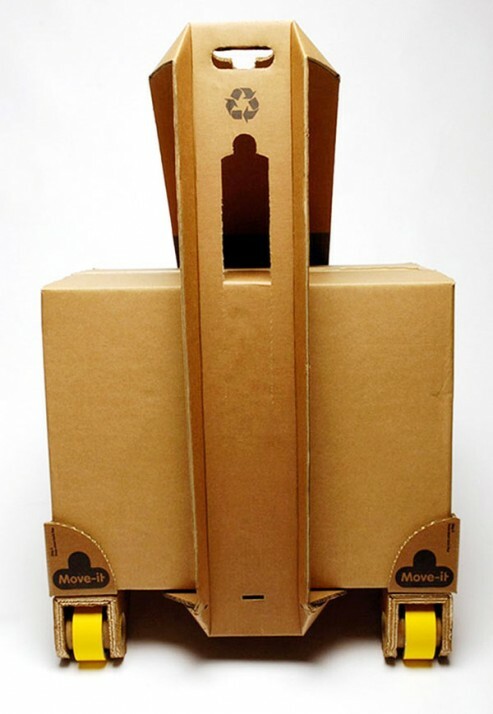 Move-it DIY Kit concept is a brilliant idea by David Graham. Engineered using cardboard to a fully functional cart with ‘wheels’, Move-it DIY Kit concept is teaching users to fully utilize those unused cardboards and making the most out of them. 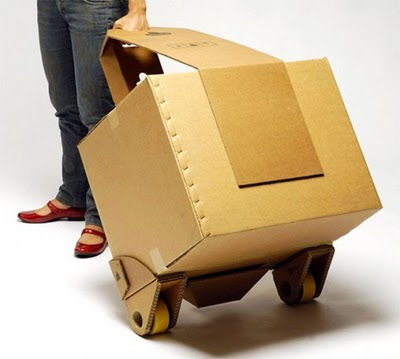 You could built a cart, a luggage or a trolley type of moving container. By any means, kids should have some knowledge about building DIY cart! 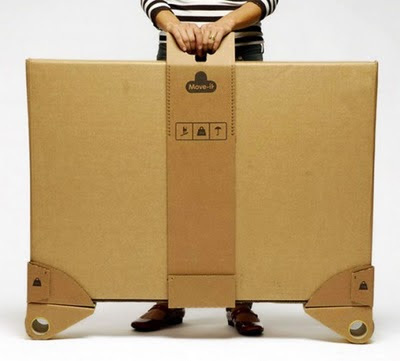 As creativity are endless, those with such expertise will enjoy so much freedom in time of urgency for building his/her own type of DIY cart or luggage from cardboard base materials and adhesive. 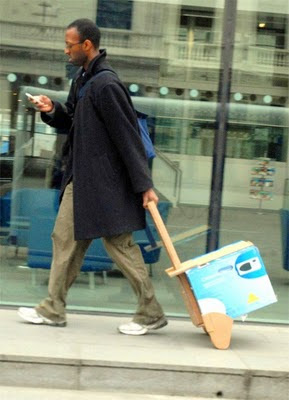 David Graham’s cardboard’s cart design is strong enough to hold up to 20 kgs in weight, however, ladies and gentlemen, we do not suggest you put any precious belongings in such cardboard luggage for traveling using airplane! If you think David Graham deserve your applause, you could vote for his excellent work for James Dyson Awards entries right here.